In this week’s 5 Best Books we are asked to list our Five Best Books: Hope. This week’s Top 5 is a more positive spin on last week’s Top 5 (Recovering from) Tragedy. It may infringe a bit on last week’s list. But overall in these books tragedy is kept to a minimum, hope is the dominating feature. 1. 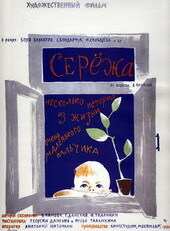 Seryozha: Several Stories from the Life of a Very Small Boy by Vera Panova. –This is one of my childhood favourites. A fatherless boy, Seryozha, grows apart from his mother after her remarriage. But little Seryozha is warmly embraced by his step father, Korostelyov and it is he who refuses to abandon him just because he is not his biological child. I couldn’t hold back my tears after reading about the troubles of a boy my age. I understood Seryozha’s bewilderment at the changes in his life and his pain wringed my heart. Every time I read the book I was so grateful to Korostelyov for understanding the little boy and giving him the love and care that he deserved. The last page especially filled me with hope that everything was going to be alright. 2. The Joy Luck Club by Amy Tan. – This is the story of four mothers and their daughters. The mothers try hard to maintain their Chinese heritage while the American born daughters fail to understand them. The lack of communication between the generations creates a deep chasm between them. I found the mother’s stories to be stories of hope. I was especially touched by Suyuan Woo’s story. Though there are many tragedies in their lives the four mothers and daughters ultimately find what they were looking for. 3. 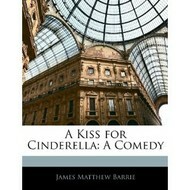 A Kiss for Cinderella by J. M. Barrie. – A Kiss for Cinderella is set during WWI. A poor and lonely young woman, ‘Miss Thing’, works as a maid and dreams that she is the fabled ‘Cinderella’. As the play progresses, ‘Miss Thing’ slowly becomes mentally unstable and nearly dies of hunger and cold. But in the end, the surly local policeman becomes her unlikely hero and even though the doctor makes a gloomy prediction about her health she does get her happy ending. 4. Mrs. Lirriper’s Lodgings by Charles Dickens. Mrs Lirriper’s Lodgings and Mrs. Lirriper’s Legacy are two of Charles Dickens’s Christmas stories. The books describe a Mrs Lirriper’s experiences as a lodge keeper. Most of her experiences are light hearted and humorous. Sad events do take place (a young woman is ruined by a wicked impostor, a fire destroys a home; etc) but overall the tone of the books remain pretty hopeful. Everything turns out to be all right and even the misfortunes always leave behind a reason to smile. 5. Mrs. Miniver by Jan Struther. – This book is a collection of little observations that the eponymous characters makes about trivial everyday matters. The time is during World War II so the tone of the book is subdued but Mrs. Miniver manages to remain practical and cheerful. The book is said to have helped gain sympathy for the people in Europe. In this week’s 5 Best Books we are asked to list our Five Best Books: Genre Reads. As everyone pretty much knows my favourite genre is mystery, more precisely Golden Age cosy mysteries. I am also rather fond of reading classics. I am very much tempted to do a mystery or a classic top 5 but have decided against it. Seriously, how many more lists can I make with Pride and Prejudice topping the list and Cards on the Table popping up here and there? L’Avare (The Miser) is a satire written in 1668 by French playwright Jean Baptiste Molière. It was first performed in 1668, in which Molière played the central role of the miser himself. The first time I read it, I started off intending to read only a few pages. But I ended up reading the whole thing in just two hours. It is so quirky and funny and I was surprised by how much I enjoyed it! Death of a Salesman by Arthur Miller premiered in 1949 at the Morosco Theatre, New York City. 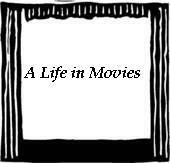 The original production was directed by Elia Kazan and ran for 742 performances. The play won the Pulitzer Prize for Drama and the Tony Award for Best Play in 1949. I was and still am greatly impressed by how as the state of Willy Loman’s mind deteriorates the line between the past and present fades away. Towards the end the past and present begin to coincide with one another. This is not a happy play but still it remains a favourite because of Arthur Miller’s incredible writing and strongly portrayed characters. Sheridan’s first and arguably most famous play, The Rivals, was first staged in 1775. The play was an utter failure on its first night. Undaunted by this calamity Sheridan radically re-wrote and re-cast the play. The play’s second performance was a hit with the public and made the young writer an instant success. I still laugh at the same jokes even after many re-reads. I particularly like the scenes leading up to the proposed duel between Jack Absolute, Bob Acres, Faulkland and Sir Lucius O’Trigger. Bob’s and his servant David’s nervousness about the duel is hilarious! The Importance of Being Earnest: A Trivial Comedy for Serious People, first performed in 1895 at London. 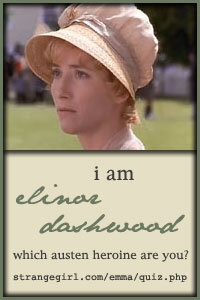 The Importance of Being Earnest is my favourite play written by Wilde. The dialogues are so witty that I cannot read even two pages without finding something funny and laughing out loud. An unbelievably crazy and highly quotable play. Mrs. Warren’s Profession was a highly controversial play. It was banned by the Lord Chamberlain’s office on grounds of ‘glorifying’ prostitution. It was first performed at London’s New Lyric Club, a private club performance for members only and so in no need of censorship. In 1905 the whole crew and cast giving a public performance of it in New York City were arrested. Interestingly, the play never mentions what Mrs. Warren’s profession actually is. We are able to draw inferences about it from the way the other characters of the play react to her and when she herself recalls the story of her youth. The Victorian society declined to acknowledge that such people (people like Mrs. Warren and her patron Sir George Crofts) exist. Even if they do such women were not to be discussed in public. The atmosphere of the play is charged with intensity. Frank Gardner’s behaviour with Mrs. Warren and his relationship with her daughter Vivie and Sir Crofts’ attitude towards both of the Warren women are fascinating to watch. I wouldn’t call this a light, entertaining play that one can read often. 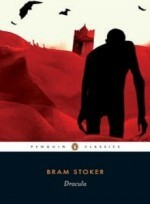 But I just find it to be a very interesting piece of literature. 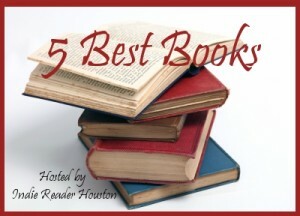 In this week’s 5 Best Books we are asked to list our Five Best Books: Unconventional Heroes. Now, I for one love unconventional heroes. People who are not what they seem, who are insignificant in the eyes of the world but try to live their lives with dignity or become heroes inspite of adverse situations are heroes in my book. .1. Charles Chipping from Goodbye, Mr. Chips by James Hilton – Mr. Chips is a mild mannered, very average man but he more than once rises to the occasion and shows courage. I especially love the scene where he reads aloud a list of the school’s alumni who have fallen in the battlefield. In spite of objections from everyone, he includes the name of a former master who died while fighting for the opposing side. He chooses to remember the man as a friend and not as an enemy; he decides to remember the friendship they once had. 2. Severus Snape from Harry Potter and the Deathly Hallows by J. K. Rowling – Even if Cassandra hadn’t mentioned him in her post, I still would have put him on my list. Ever since the first Harry Potter book, Harry Potter and the Philosopher’s Stone, I couldn’t shake the feeling that there was something unusual about the man. Of course, Harry Potter and the Deathly Hallows, proved what a complex character Severus Snape was. If ever there was an unconventional hero, Snape is the one. 3. David, the policeman from A Kiss for Cinderella by J. M. Barrie – The character of the policeman is so unlike a romantic hero. He is an unimaginative, unromantic man. He couldn’t possibly understand ‘Cinderella’s imaginary world. But all the same he sympathizes with her and even ends up saving her life. His love for the poor, plain looking, possibly unbalanced ‘Cinderella’ makes him one of my top unconventional heroes. 4. Sydney Carton from A Tale of Two Cities by Charles Dickens – A deeply unhappy alcoholic of a dubious character, Sydney Carton ends up overshadowing the more conventional hero Charles Darnay. 5. Mr Harley Quin from The Mysterious Mr. Quin by Agatha Christie – One of the more unusual and underrated creations of Agatha Christie, Mr. Quin, is a friend of lovers, an otherworldly presence. He comes and leaves without any explanation, appears at the edge of a cliff or in an empty train compartment. He never does anything concrete but helps everyone in a most subtle way. A strangely unconventional hero, in my opinion.